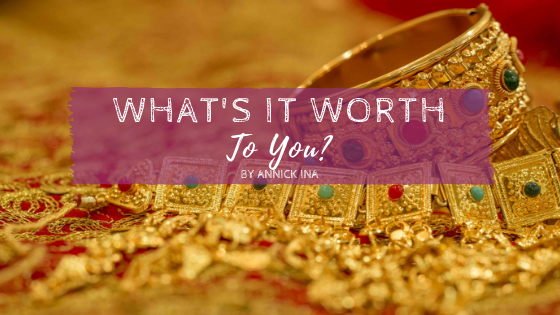 If you’ve ever thought “Why should I charge for it when people can do it themselves?” – read on!! My last-minute Christmas shopping this past December gave me a massive light bulb moment. Here’s the deal: I LOVE buying gifts but HATE doing it in a rush, as it often means settling because shops don’t have the right size or the right colour, etc. So this year, I started as early as September! And by the time I had to fly here in December, I’d already bought all the gifts I needed, except for one: my brother-in-law’s. He wanted a pair of flip-flops from his favourite shop on the island, so I waited to get here to buy them. Only thing is, plans changed and instead of the flip-flops, I was now looking for either boxer shorts, a belt, or shorts. There’s only one decent mall in the area, with a limited number of shops, all in the open, and not only is it busy, but it’s also VERY HOT. Like, face-melting kind of hot. So, I go to the supermarket to get some stuff for the Christmas meal, get a couple of things from a couple of other shops, and go to a clothes store to look for my BIL’s gift. What I see is either over my gift budget, not good quality, or simply not my taste. UGH. The torture begins. I walk to another shop. I find a pair of shorts, but they don’t have the right size. Plus, in the meantime, my sister texts me with extra info: no solid colours, unless they’re funky bright ones, otherwise a fun print. UGH. This just narrows the shop options even more. I go to another shop. I find a cool pair of shorts, within my budget, but then they tell me that because it’s on sale, they won’t exchange it if the size isn’t right. UGH. Next! It’s hot. I’m all sweaty. Plus, I didn’t get much sleep the night before. I’m tired and oh so ready to go home for a nap – but actually have more errands to run after that and this Christmas shopping is taking waaaay too long. I go to yet another shop. I look at their shorts and spot a nice pair. And they’ve got the right size! It’s a little over my budget. My first reaction was to think, “OK, well… I’m going to keep looking”, but the thought of having to walk into MORE shops almost made me want to drop everything and start crying then and there.. Yes, it was more expensive than I’d planned. And more expensive than everyone else’s gifts. But staying in the set budget would mean I’d have to spend more TIME and ENERGY to keep looking. And at that specific moment, my time and energy were more precious than the money itself. So I grabbed the shorts and went to the check out. I might have to skip eating out once to cover the “excess” on my budget, but you know what, it was way worth it. We tend to think that money is the most valuable currency, but sometimes – more often than we think – TIME and ENERGY are. Why? Because you can make more money, but you can’t make more time. We all have 24 hours each day. No matter what. As you know, anything that’s limited becomes more valuable. If what you do helps people have MORE time (even if they could do it themselves), that’s worth putting a price tag on it! If what you do helps people have more time AND saves them the ENERGY of having to figure out how to do it themselves, OWN YOUR VALUE and price your product/services accordingly! Last but not least… YOUR time is precious too. Use it wisely. Don’t STEAL time from your CORE BUSINESS, your ZONE OF GENIUS, by trying to do everything yourself. Hire out: whether that’s a VA, a web designer, a copywriter, a coach, anyone that helps free up time so you can focus on what you started this business for in the first place – doing what you LOVE. And if writing a book is on your heart – be brave enough to make it happen – and get the support to ensure it DOES happen. Your idea is precious. Your story deserves all your attention and care. And you deserve all of MY attention and care throughout the process.